Is Your Cell Phone Causing Carpal Tunnel Syndrome? You are here: Home / Articles / Is Your Cell Phone Causing Carpal Tunnel Syndrome? It’s 2015. Most people cannot live without their tablet, cellphone or laptop. While everyone is increasingly using their electronics, they are subjecting themselves to serious conditions, including carpal tunnel syndrome. Is Your Cell Phone Causing Carpal Tunnel Syndrome? Carpal tunnel syndrome is a medical condition in which the nerve tunnel becomes compressed at the wrist. The most common cause of carpal tunnel syndrome is pressure on the median nerve; actions like cooking, typing, and texting are examples of this. For those with carpal tunnel syndrome resulting from excessive texting and extreme usage, their thumbs are known to be affected the most, although it has been known to affect the entire hand and wrist. Without proper treatment, carpal tunnel syndrome can lead to weaken fingers and thumbs. 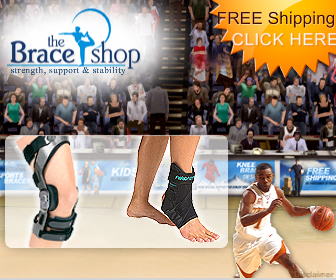 The Brace Shop sells a wide variety of wrist braces, placing emphasis on quality to aid restoration of injured limbs caused by the love of your electronics. Customers are offered a wide variety of wrist braces that can help relieve some of the symptoms caused by carpal tunnel syndrome, like cramping, swelling, and pain. Wrist braces for carpal tunnel can support and stabilize your wrist to prevent discomfort. The wide selection at BraceShop.com includes doctor recommended daytime and nighttime braces. By using wrist braces, you are able to protect yourself from re-injury while you respond to your text messages.